Bristol Viva! 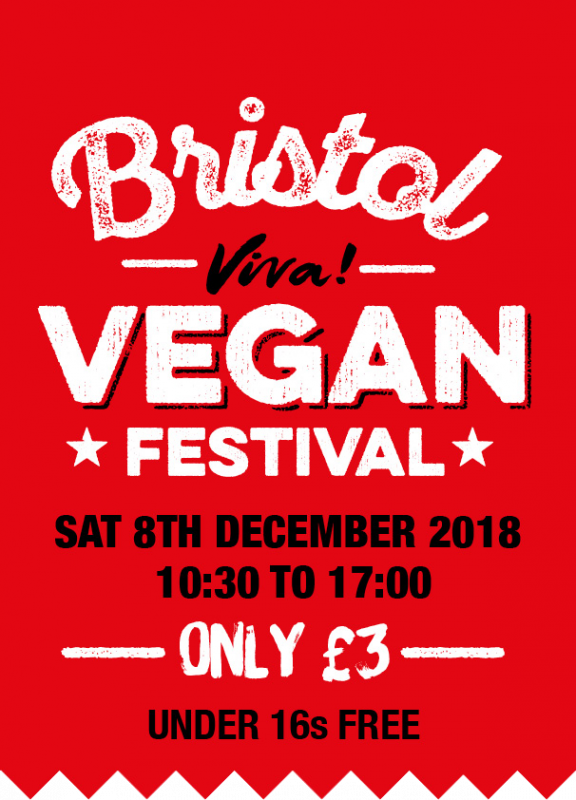 Vegan Festival - SAT 8 DEC 2018 | Viva! For more information visit www.viva.org.uk. VIP and standard tickets available in advance soon! VIP tickets come with a goodie bag full of treats plus a no queue entry to the festival. This year's Bristol Christmas festival will hold over 90 stalls selling all the vegan goodies you can imagine. There is also a great vegan bar and seating area, plus a kids zone and talks and cookery demos all day! Advance tickets sales are now closed but you can still pay on the day!